Mouseprice > Latest News > Blog > Selling your Home > When’s the best time of year to sell my home? 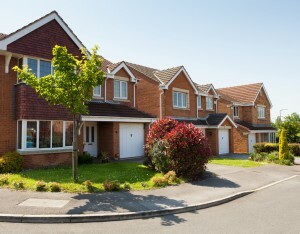 Although there will always be people looking to move house or purchase their very first property, certain times of year are more popular for house-hunting than others. Here we explore when the best time to put your home on the market is, and what to do if you have to sell during the quiet period. Generally speaking, spring is the perfect time to start the selling process, as this is when the most buyers are searching for a new property. You want as many people to view your home as possible, because it will increase your chances of selling quickly for a high price. The number of buyers isn’t the only plus-point of this season though – spring can make your home look beautiful. Your garden (if you have one) will have started blooming and the days will have begun to get longer and lighter. For most people, it’s the ideal time to move too, as there are no major events to worry about, such as Christmas. Be wary that most sellers will choose to put their home on the market at this time of year, meaning buyers can afford to be a lot fussier. However, this also means you have the pick of the buyers, so hopefully you should be able to filter out any potential time-wasters. Just like spring, autumn is another great time to sell as not many people choose to go on holiday at this time of year (especially if they want to purchase a home), and Christmas is still a fair way off. The weather may not be as nice, but hopefully it’s fairly mild. Just remember to clear any fallen leaves out of your gutter and drain. Plus, it’s likely that buyers will be just as keen as you to complete the sale as quickly as possible. You’ll both want to be settled in your new homes before Christmas! The summer months may provide us with great weather, but it’s one of the worst times to sell a home, especially if your target market is families. Since the school break falls within these months, families will either be on holiday together or parents will be too busy trying to sort out childcare for their kids. They won’t have time to view house after house, so if they want to move home, they’ll probably wait until the autumn to do so. If it comes to December and you haven’t got your home on the market yet, it’s best to hold off until the New Year. Most buyers won’t want to be worrying about surveys and solicitor emails in the run up to Christmas – notoriously one of the most stressful times of year. Christmas is expensive too, of course, so buyers might be put off by the idea of having to pay lots of solicitor’s fees during December. However, buyers will start to flock back to the market come January and February. The New Year is when people start to think about what they want to achieve in the next 12 months, so if they want to move house they’ll start looking soon. Before you put your home on the market, ask your local council if any construction work is due to take place in your local area soon. You could pick the best month in the world to sell, but if it turns out that’s when road works are going to be carried out, it’s better to wait until the work is finished. What if I need to sell during the summer/winter? Sometimes, selling a home can’t wait. You may have found the home or your dreams, and need to find a buyer for yours quickly, or you may have major plans for the rest of the year which can’t be moved. Whatever the reason, there’s no need to panic if you need to sell your home during one of the ‘off months’. 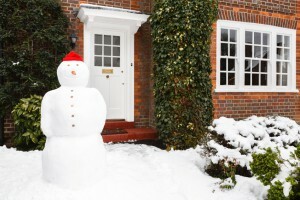 Many buyers still manage to sell their home successfully in the summer or winter; some estate agents argue that the housing market is becoming less seasonal anyway. It’s best to speak to the estate agents in your area. They will be able to tell you how busy the market is currently. If it turns out it will be quiet, there’s a lot you can do to prepare and boost your chances of a successful sale. It’s vital your home makes a great first impression – both in the estate agent’s photos and when viewers step through the front door. Make sure the front garden is neat and tidy, the indoors is de-cluttered, and anything that needs fixing is repaired. Just because there aren’t many homes on the market doesn’t mean buyers will settle for a messy, dirty home with wallpaper hanging off the walls. Even if they do, they’ll want you to drop your sale price in return. In order to get the best price, you need to sell your home within four to six weeks of it going on the market. If it hangs around any longer than that, buyers may start to worry that something is wrong with the property and will therefore steer clear of it. You could drop the price to try and tempt buyers back, but this may make them even more suspicious! You need to get the price right the first time around. Whilst you may get away with selling at a slightly higher price during the busy months, you need to be more realistic if you’re selling in the quiet period. There aren’t as many buyers around, so to boost your chance of selling quickly, you need to ensure that as many people as possible are able to see your home. Therefore you need to be flexible with viewing times – this may mean moving in with someone else for a short period, but if your home sells for a good price it will be worth the effort. This only really applies if you’re selling in December (unless your home doubles up as Santa’s grotto all year round), but it’s best to leave the Christmas decorations for your new home. The photos your estate agent will take will quickly become dated if buyers can see your Christmas tree up, which may make it seem like your home has been on the market for longer than it actually has. No matter how lovely you think your decorations are, they will clutter up your home – not ideal for viewings. Remember, that first impression is incredibly important. If you want to sell your home at the optimal time, when the most buyers are looking, then we strongly suggest you put it on the market between January and June. Realistically, though, you can sell your home at any time of year – even over Christmas. You just need to make your house as desirable as possible.